When Carter and Lydia were little-little, I wrote monthly letters to them. “The World According to Carter” (or Lydia, as the case may be). Whenever they would say something amusing or interesting, I’d jot it down in there. (I’ve done neither for Asa or Anna Alden. I have scraps of paper shoved in a box with notes. 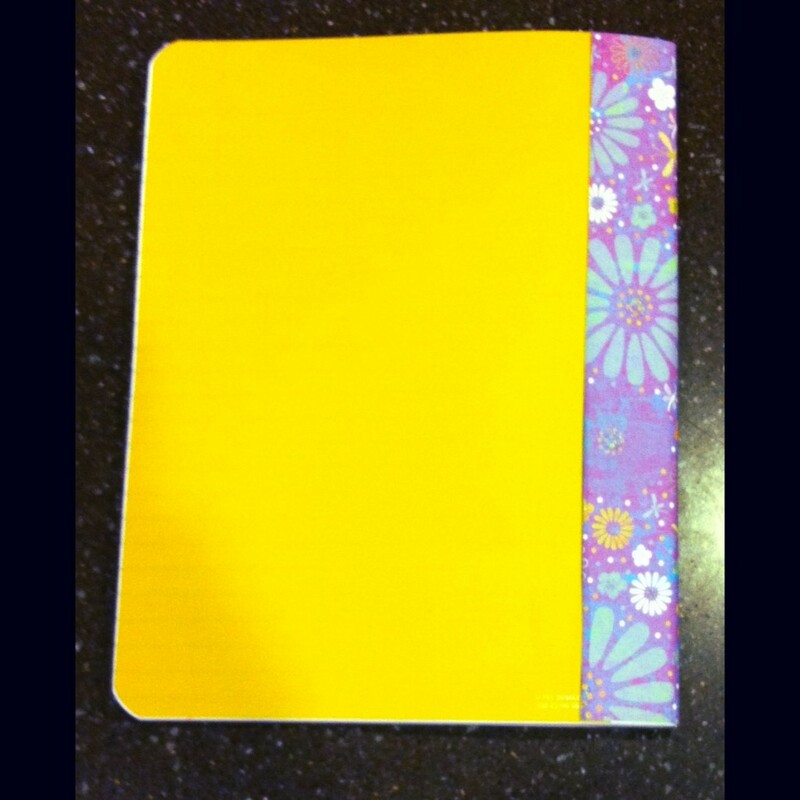 A mom talked about starting a shared journal with her teenage daughter. Things they couldn’t say a loud somehow managed to find its way into the notebook. When I saw that I decided to tuck that away into my memory bank for ‘someday’. I was cleaning out a big box of papers that all belonged to my children. I found hundreds upon hundreds of little slips of paper. My children, like most children, love to create masterpieces and do.not. want to throw anything away. I want to keep some of their art, but oh, my! That’s a looooot of paper! I decided it would be nice to have one spot for all this. 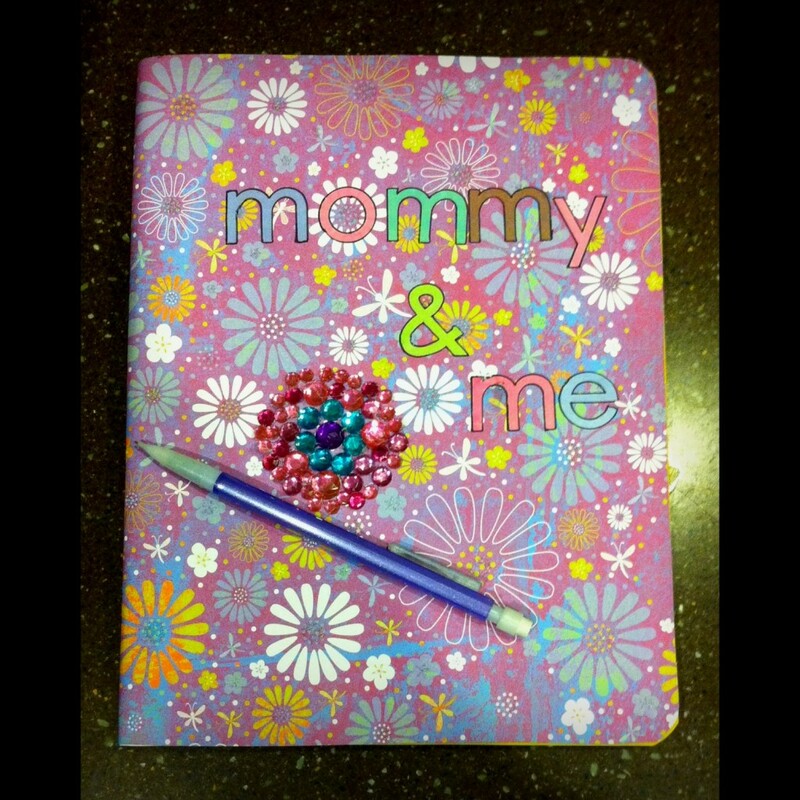 And I remembered the mother-daughter notebook. I could make a notebook for each child and they could write or draw in it to me. And I, too, could write or draw in it to them. 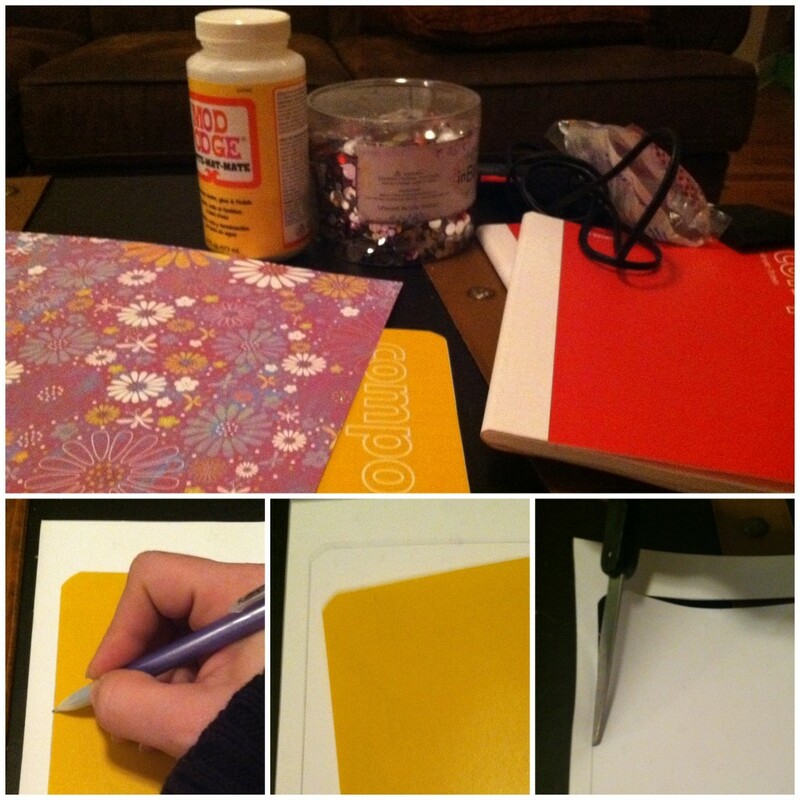 So I picked up some composition notebooks, pulled out my scrapbook paper and mod podge and got to work! I had a 12×12 sheet of scrapbook paper that wouldn’t cover the front and the back, but I wanted to cover the spine, too. So I cut it so that the top is completely covered and the back is partially covered(seen below). Then I cut it out, slapped down a layer of mod podge(you could probably use regular glue) and smoothed out the paper. I wanted to label my book, so I used some scrapbook stickers to spell out “mommy & me”. But the letters were blending in a little too much with the paper so I outlined them with a fine tipped black sharpie. And then because my Lydia is the Bling Queen, I decided to add some jewels. All I did was hot glue them on (and burn my finger tip once). I can’t wait to see what stories will be told and pictures will be drawn. And I’m actually considering making a few for some friends, too. Thinking great Christmas gifts for the writers in your life. And you could cover with fabric if you wanted and a nice pen set….hmmmmm, you have my wheels turning now. Oh, I love that old fashioned pen pals idea!!! Very Cool! You need your own TV channel for all your crafty things! I love looking at your stuff. I started journals for each of my kids and whenever I can I jot down a written note or page for them of what they are doing or events in their lives and then I want to give it to them when they leave home. Of course I will probably want to keep it for myself! Kate and I had a notebook in high school that we wrote notes in. We would pass it back and forth throughout the day. I kept that notebook and right now Kate has it. It was so funny to go back and read everything we wrote 15 years ago. I can only imagine what it will be like to go back and read everything that a mother and child wrote over the years. I might have to start this with Bella.